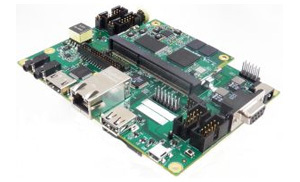 The MitySOM-335x Development Kit supports the AM335x based modules from Critical Link. 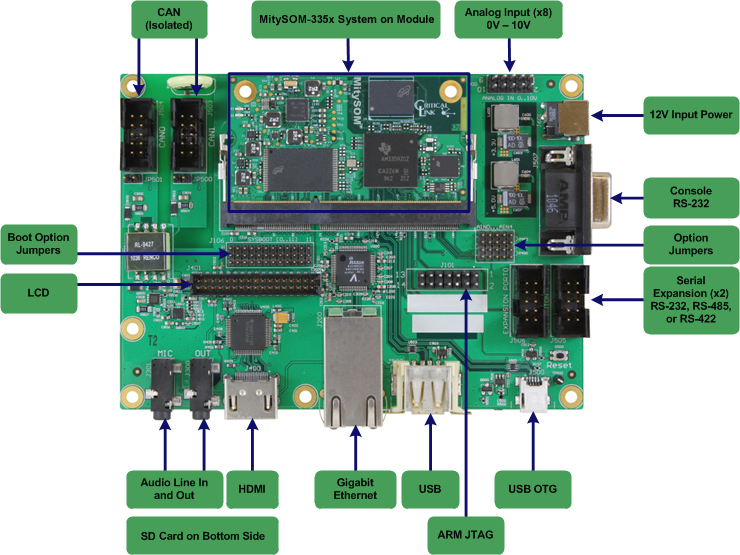 Each kit includes a compatible MitySOM-335x module (see Purchase table below for compatible modules) and a base board that features a strong array of interfaces such as USB, Debug RS232, Dual UART Expansion ports, HDMI Video Only Output, Audio Input/Output, MMC/SD, 8-Channel ADC and Dual CAN Bus interfaces. 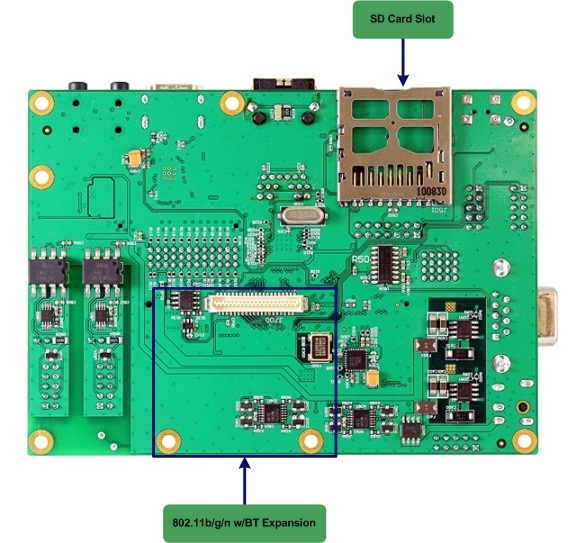 The MitySOM-335x Development Kit includes both RS232 and RS485/422 expansion modules to use with the Dual UART Expansion ports. In addition, multiple LCD with touch screen kits are also available and compatible with this kit.